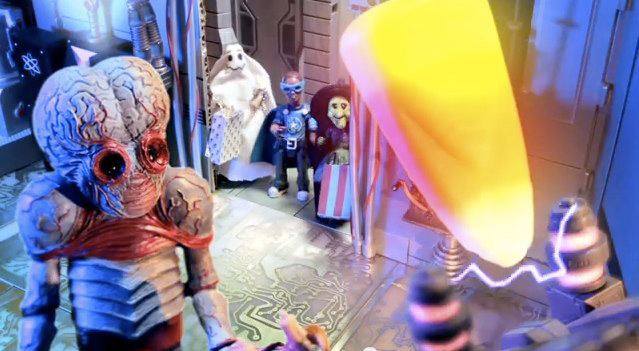 October 2012 - Constructed by the infamous Dr. Frankenstein from corpses, and resurrected by curious machines powered by a bolt of lightning, he terrorized the countryside. Now he is brought to life by Mezco's award-winning design team. Now available for the 1st time at the world famous New York Comic Con, Mezco is releasing a special black and white variant. This two-tone color scheme pays homage to the original 1931 Classic film. Although tens of thousands of fans will descend on NYCC this year, Mezco is only making 100 of this special variant version. 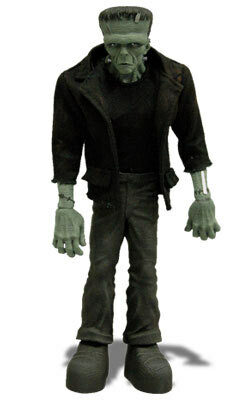 Due to its limited nature, the Black and While Variant Frankenstein 9inch figure by Mezco is sure to become one of the most sought after items of 2012. 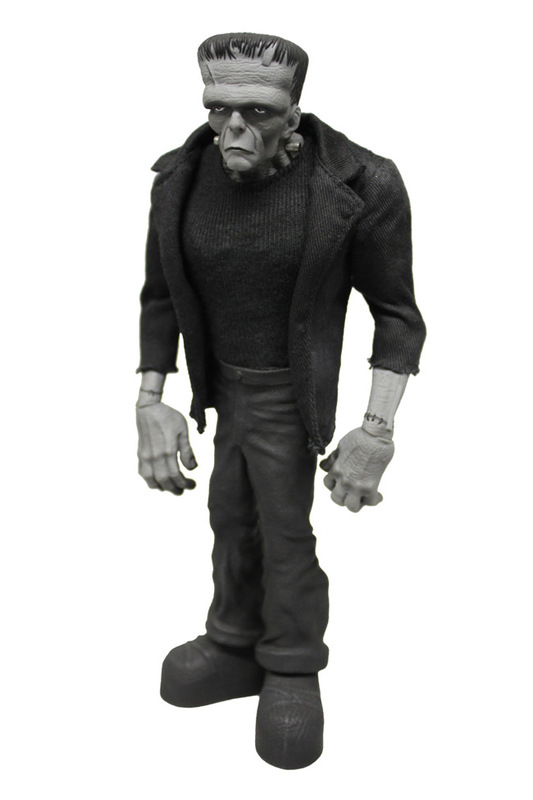 Mezco Toyz will have Frankenstein available at booth 1960 at New York Comic Con. 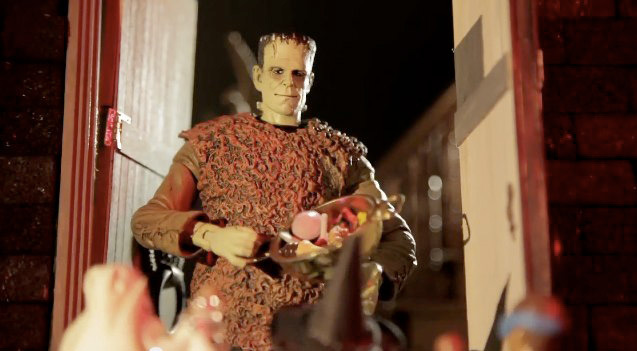 May 2012 - Mezco proudly presents one of the world's most famous monsters... Frankenstein! Constructed by the infamous Dr Frankenstein from corpses, and resurrected by curious machines powered by a bolt of lightning, he terrorized the countryside. Now he is brought to life by Mezco's award-winning design team. 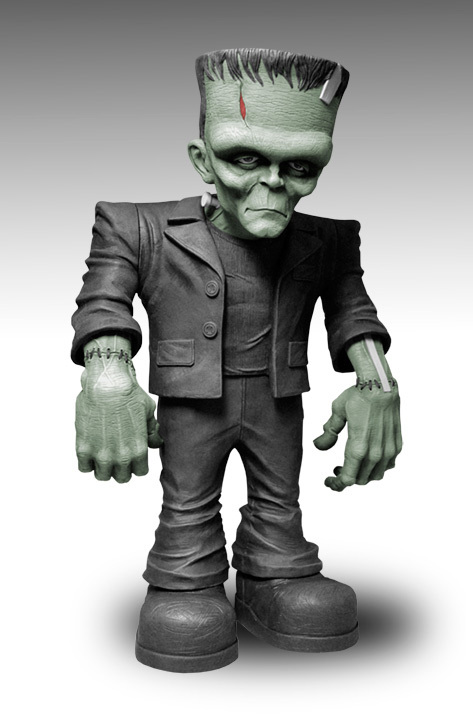 This 18inch Monster Scale Frankenstein features eight points of articulation. This Monster Scale Frankenstein is sure to become the focal point of any collection as it towers above all lesser collectibles.